Case of 1000 BCW 9-Pocket Trading Card Pages. Packaged as 10 boxes of 100 pages per box. 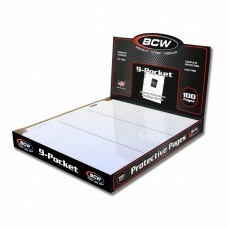 Do you have any questions about Case of 1000 BCW Pro 9-Pocket Baseball /Trading Card Album Pages?